Although sending emails is plain sailing, but when it comes to sending emails to the targeted audience you may end up landing in their spam box thereby, entitled as spammer to send emails to the target audience without getting into the spam list of the users. We are proud to announce two new themes released on Themeforest: Hotello – Hotel Booking and Manufacturer – Industrial WordPress themes. Visual imagery is often the most demanding resource on a page, on top of taking up a large amount of available page capacity. As a result of this, image optimization helps to shave off substantial quantities of bandwidth required for loading a page, and also leads to immense performance improvements overall. In other words, the more optimized are your visuals, the less amount of time it takes for a client to download files, and load other necessary page elements. In this tutorial we will show you how to edit the wp-config.php file on WordPress. 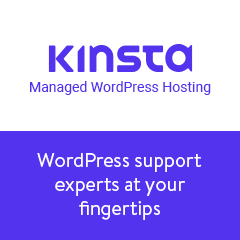 Database connection, secret keys storage to encrypt information, database prefix setup, debug mode enabling and the WordPress folder path specification are the main features of the file.